The Grüne Woche was held for the 80th (!) time this year. It’s a ten day event for the food, agricultural and horticultural industry, held in Messe Berlin. Imagine 26 fair halls filled with stands from countries all over the world, presenting their food and drinks. One of the halls was filled with cages full of special breed horses, sheep and cows. Their were halls with flowers, insects, machinery, plants, and entire fields of grain growing on the floor. Messe Berlin was packed. Packed with flowers, foods, drinks, representatives of countries and many, many visitors. My personal goal was to find a quiet place. And I did. 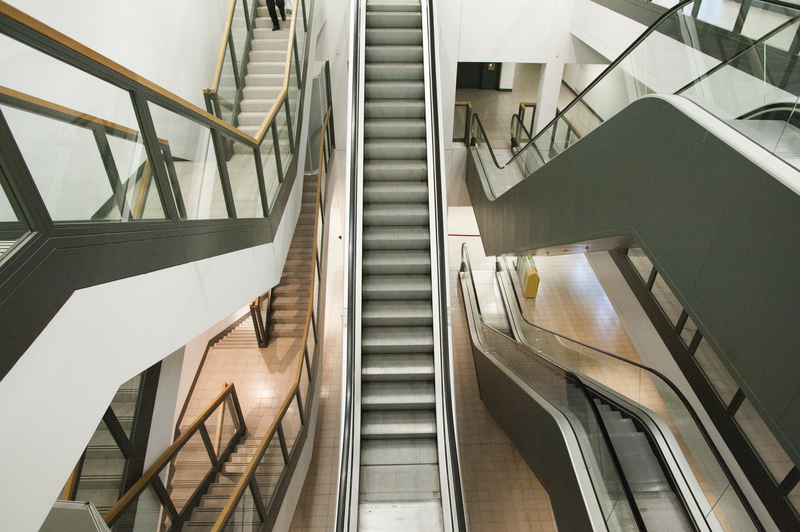 In the midst of all the people, plants and cattle, I found these escalators, with just one pair of legs on them.